Color-a-Thon: Starts at at 12pm. We will have music, food for sale, and an awesome raffle. Enjoy South Avenue’s playground where we just added a new climbing wall and ten spin! The moment South Avenue has been waiting for all year is here - The Color-A-Thon (also called the Color Run)! This is South Avenue’s big fundraising event organized by the PTA, which helps them buy playground equipment for the school, fund field trips, purchase class supplies, establish a sustainable school link with an Ethiopian partner school, and more. The run is open to everyone in the community, not just South Avenue students, and you can register at the event for $15. Some teachers and students have sponsored “student spots” for those who don’t have the registration fee, including teachers like Mrs. Biersack andk Mrs. Fabia. Other teachers will be at the run throwing color and participating in other ways, including Mrs. Nunez and Principal Cahill. Raffle prizes include Alps Sweet Shop, Beacon Bath & Bubble LLC, Beacon D'Lites, Homespun Foods, Hudson Beach Glass. and Obercreek Farm. Other organizations include Wee Play Community Project for a gift certificate to the Ree Play Sale (last weekend in April!) and Beacon Recreation for donating a 2019 Beacon Pool Pass. So it’s pretty easy - you wear white and run around the block in the neighborhood next to South Avenue. The streets are blocked for the run, and you can run around as many times as you like. Often there are parents running or walking with the kids, so if you can’t run or walk, your child will most likely be in a pack with others. You can register at the event. TIP: Walk, don’t drive to this event. Your car will get really messy with color if you sit inside of it. Shoes get really messy. South Avenue Elementary’s librarian, Mr. Burke, produces a morning news show from his library in the basement. He goes throughout the school for different scenes and has recurring characters. Usually played by himself (kind of like how Eddie Murphy and Tyler Perry play so many roles in one movie). Here’s Mr. Burke exploring what would happen if the Color-A-Thon and the State ELA Tests were on the same day (they were the same week this year). It’s Bingo Night (adults only) at Hudson Valley Brewery on Thursday, May 2nd from 7-10pm, an event to raise money for playground improvements for JV Forrestal Elementary, hosted by that school’s PTSO. According to the poster, there will be Raffles! and Fun! If you’ve ever been to a school fundraiser at the brewery, you’ll remember that the raffle is no joke. It’s one you want to enter and buy more than one Bingo card for. Kids in all of Beacon’s elementary schools love their outdoor recess and playground time, and it is with the support of the community that these playgrounds grow to add new equipment, landscaping, outdoor teaching opportunities, and more. All are welcome to attend and participate. Not limited to JV Forrestal Elementary families. PS: This posted was designed by the talented Steven Blumenthal, who is a dad at JV Forrestal, and is the designer behind the new sign on our building, the Telephone Building, as well as the designer behind Beacon Made, illustrations at Club Draw, and other images you may recognize. This event has been added to A Little Beacon Blog’s Beacon Public School’s Opportunities Guide. There are some opportunities that involve no money at all. C. Diff Confirmed At Beacon High School - Cleaned To Prevent Spread - What Is C. Diff? You can learn more about C. diff here at the Centers For Disease Control (CDC) website. According to the CDC, “C. diff bacteria is commonly found in the environment, but most cases of C. diff occur while you’re taking antibiotics or not long after you’ve finished taking antibiotics. People on antibiotics are 7 to 10 times more likely to get C. diff while on the drugs and during the month after.” C. diff symptoms include “diarrhea, including loose, watery stools (poop) or frequent bowel movements for several days, fever, stomach tenderness or pain, loss of appetite, and nausea,” according to the CDC. Get Lit is working with Principal Soto and Assistant Principal Simms to start small libraries in the Special Education English classrooms. “The teachers put together a great list of books from diverse authors to get students excited and engaged with reading." The goal is to provide 90 books to three classrooms. Author and Get Lit Beacon founder Julie Chibbaro will present the books to the school during Get Caught Reading Month in May. Go to Binnacle Books in Beacon to choose books from the teacher wish list, and Binnacle will order them for you. Donate money to the cause through getlitbeacon.com, and Get Lit will buy the books for you. They'll also match total donations, up to $300. You can also purchase books on your own and drop them off any time at Oak Vino Wine Bar in Beacon. What Is Get Lit Beacon? Get Lit Beacon is a literary salon founded by writer and teacher Julie Chibbaro. Get Lit Beacon is a way to invite writers out into the community where they can be seen and heard. The salon is a casual gathering where published and aspiring adult writers of any genre can hang out, have a drink and share their work. Usually, one or two professional writers are invited to join and discuss their work. Get Lit Beacon meets on the Second Sunday of each month (mostly) at Oak Vino Wine Bar, 389 Main St., Beacon. 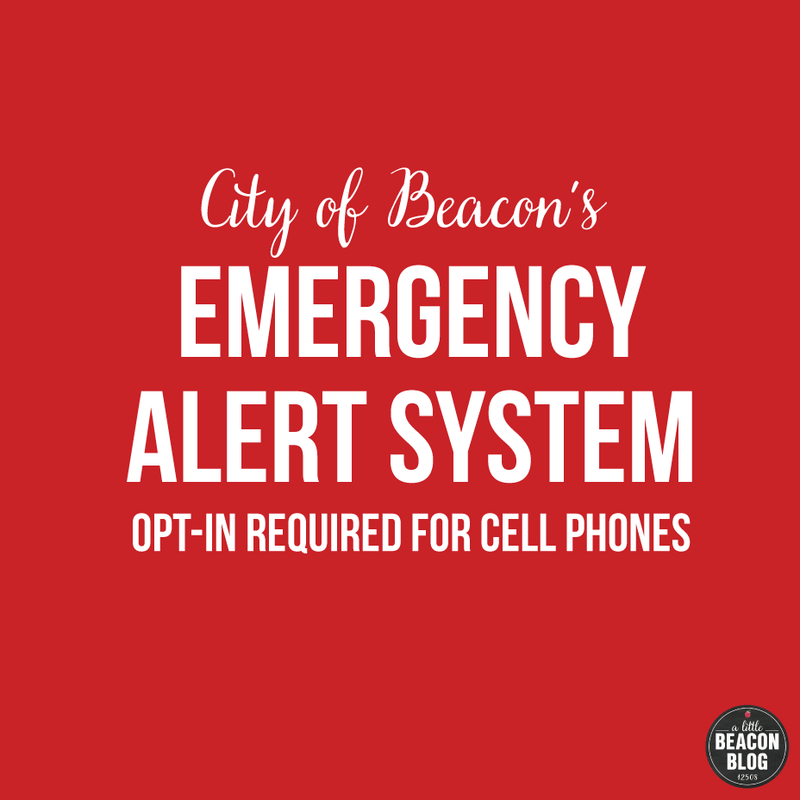 A Little Beacon Blog has dedicated a guide to ways you can help the kids and families in Beacon City Schools. This opportunity has been added to the Guide, under the Beacon High School section. Be sure to check that Guide periodically to learn of new opportunities to support BCSD, such as the Color-A-Thon happening for South Avenue Elementary. Sponsorship is open for that Guide! So, if it’s important to your brand to contact people who care about our schools, please reach out to us if you are interested in sponsoring that Guide. We’ll include your logo and a shout-out! Photo Credit: Screenshot of the Bright Star Theatre’s website. The Bright Star Touring Theatre will be staging a free performance of “Black History Hall of Fame” on Tuesday, February 26, 2019 at 5:45 pm. This 45-minute production will take you on a fast-paced adventure through the Black History Hall of Fame, led by Dr. Daisy and Professor Paisley. Young audience volunteers and incredibly talented performers bring this show to life in every way. The Bright Star Theatre Group suggests this performance is best for kids in kindergarten to fifth grade. After that performance, Bright Star will perform “Struggle For Freedom” at 7 pm. This 45-minute production seeks to honor the American Civil Rights Movement. With excerpts of famous speeches, Civil Rights-era songs and a variety of characters, this moving production has been hailed as one of “the finest touring shows available for a young audience.” The Bright Star Theatre Group suggests this performance for second graders through adults, but that is only a suggestion. Both performances take place at Beacon High School, and are free of charge to the Beacon community! Learn more about the Bright Star Theatre here. They are based in NC and tour all over the country. The Beacon City School District has produced very fine students over several generations, and the district itself has seen the best of times and the worst of times. Its current administration has been hard at work to create a connection with the community, in order to easily get information to them, as well as get information from them. With the start of the new year, Beacon Superintendent Matthew Landahl invited the Beacon education community (parents via the school newsletter, and readers of his school blog) to participate in a “thought exchange” about how to improve the school experience for the Beacon graduate. This is your chance to contribute any thoughts you’ve had over the course of ever: about what you wish the Beacon City School District provided, or about what you are thankful that they currently provide, and you want to voice your opinion that it should stay. The ThoughtExchange survey takes 5 to 10 minutes and is very easy. You can put in a number of thoughts. There are word count limitations, so it keeps you brief. You can remain anonymous, and others can read the thoughts, and even rate them. You can skip the rating part if you wish, and just read others to expand your vision. Or you can just drop your thoughts and go! You can start the survey here. You do not need to be a parent in the district, and can simply be a person living here. The district, teachers and administrators have been very open to suggestions, so use this opportunity to voice your ideas. Fundraiser For Beacon High School's "The Beacon Players"
We love supporting The Beacon Players - Beacon High School Drama and Theater Arts organization - at A Little Beacon Blog. This group goes above and beyond when putting a production together for the community to enjoy. Fans of The Beacon Players will know that tickets to their shows are only $5 and would like to keep it this way. That’s why the group is asking all of us to support and check out their new Snap!Raise Fundraising page. The Beacon Players are raising money for costumes, art supplies, set building materials, and advertising. Your support will help them offer a higher quality experience for all participants and is vital to the success of the program. With a goal of $3,000, they are almost halfway there as of this write-up. The next production presented by The Beacon Players will be A Chorus Line, one of the longest-running shows on Broadway, the weekend of December 7-9, 2018. You can purchase your tickets here. If you missed this event last year, you have another chance to enter your kid to win a ride in a fire truck! Each $5 ticket into Rombout’s Raffle helps raise money for the eighth-grade Washington DC trip. This raffle’s grand prize is a ride to school in a fire truck driven by the City of Beacon Fire Department and Slater Chemical Fire Company. Your child could be picked up at home - in a fire truck - and driven to school! One kid from each of the four elementary schools in the Beacon City School District (South Avenue, Glenham, J. V. Forrestal and Sargent) will be selected as winners. Flyers went home in the little kids’ folders, so fill those out and send in money with your tickets - $5 per ticket or 3 tickets for $10! There is no limit to how many tickets you can buy. If you want to buy several raffle tickets and need to print more raffle forms/tickets, you can print out the raffle form tickets here and keep sending them in, just in case riding to school in a fire truck sounds TOO COOL and you really want to increase your chances. This is a highlight from A Little Beacon Blog’s School Opportunities Guide. There are more special events listed there, plus ways you can effortlessly donate to one of the schools in our district, through glass bottle collection, box tops, and other easy ways. The official end of summer will be here before we know it, and September is proving to be an extremely hot back-to-school month. Forget fall wardrobe outfits and new boots on the first day of school, or even for school pictures which happen a few weeks later. We’re talking 100% humidity, people. And not all of the schools or classrooms in the Beacon City School District have air conditioning. Two days after the first day of school, Superintendent Matthew Landahl emailed parents in the district about mold creeping into the high school, and the quality of the air. He wrote twice on Friday, September 7, and again on Friday, September 14. Then the Poughkeepsie Journal reported on it, as mold occurrences are happening in other school districts, including Millbrook’s Elm Drive Elementary School (classes are shifting to the middle school; remediation is estimated to take six weeks, according to the article). Wingdale Elementary School in Dover closed for a day, and Hyde Park apparently has a longstanding mold issue at Park Elementary School, according to Nina Schutzman’s Poughkeepsie Journal article. “I am writing to let you know about an air quality issue that developed in 6 classrooms in Beacon High School the past three weeks and steps we have taken to remediate it. “On August 20, the Head Custodian at Beacon High School noticed some mold that developed overnight on desktops and other surfaces in four science rooms in the high school (rooms C127, C133, C135, C141). He immediately notified our Director of Facilities Anthony D’Amato who started working with the BOCES Safety and Risk Coordinator Brian Colandrea. We believe that the mold developed in those four rooms due to the classrooms having many potted plants and aquariums. That combined with the extremely high humidity outside helped to develop conditions for mold growth. “We hired an outside company, ServPro, to clean the four rooms over Labor Day weekend and we have ordered HEPA air filters and dehumidifiers for those rooms which will be in place at the beginning of next week. We have already received the air quality tests from those four classrooms and the results came back Satisfactory with the recommendation that we install dehumidifiers and HEPA air filters in those rooms. “I am writing to provide another update on air quality at Beacon High School. Yesterday, we noticed some mold growth on some of the cloth seats in the Beacon High School theater. We had the theater visually inspected today by the industrial hygienist we have been working with from Adaptive Environmental Consulting and he concurred with our assessment. “We want to take care of this as quickly as we can so we are going to close off this space for the next two [to] three weeks so we can run powerful dehumidifiers for an extended period of time and have cleaners from ServPro clean every seat and treat other surfaces in the theater. The reason we are closing the theater is so that the folks from ServPro can work uninterrupted during this timeframe. The Beacon Players will be able to rehearse in our gyms during this period of time. I apologize for the inconvenience this will cause people. Projects that are part of the Capital Improvement Plan, funded by a public budget vote in November 2017, may aid in the overall fight against mold that threatens any structure (you can read about them here in our article). For example, replacing carpet with tile at Glenham Elementary could help, as mold and dust fester in old carpets. I’m a mold-phobe, and have been known to rip out old carpet from my home in the middle of the night - only to make myself very sick in the process from dust and not wearing a protective air mask. I’m currently chiseling adhesive carpet tile from my sunroom. Block by block. Rooftop ventilation systems are also slated for replacement at J.V. Forrestal and Sargent Elementary. Roof repairs are slated for Beacon High School and Rombout Middle School. All eyes are on improvements, as it seems like things are on track to getting better. Until the next mold update! Matthew Landahl, Superintendent of Beacon City Schools, started off the new school year by getting in touch with parents and guardians of children in the district. His email to the Beacon school community spoke to his plans for the future, and enhancements to the programming that are happening this year. Fourth-grade instrumental music will begin for the first time ever later this fall, as a result of the grant we won last June. Elementary students will experience Physical Education class every other day instead of two out of every six days. Elementary class sizes are further reduced with the addition of three additional teachers. Rombout Middle School will have a fully 1:1 learning environment with every student receiving a Chromebook this fall. Interactive teaching screens will be added to Rombout Middle School and Beacon High School. Further planning and development of the Capital Project (A Little Beacon Blog covered those details here) with construction the summer of 2019 on the Turf Athletic Field behind Beacon High School. Create and facilitate a student advisory council for the district. Create and facilitate a strategic planning process including forming a strategic planning advisory committee. Increase and improve the quality of district communication in a variety of formats. Help to create building and department leadership teams including the participation of parents and community members. Facilitate equity leadership work in the district. Maintain a high level of community and staff engagement through open forums, individual conversations, and online tools. Already, parents of elementary students have been invited into the Parent Portal, which is an app that lets the parent and child log in to see homework and comments from the teacher. Older students used to be the only ones with access to this. In terms of communication with parents at least, Dr. Landahl has been busy emailing updates about pesky mold that has been springing up in the Beacon High School and at J.V. Forrestal Elementary during these 100% humidity days, and steps the district is taking to remove it and prevent future problems. Photo Credit: Beacon City School District's Website. Photograph by Dawn Sela. The Beacon City School District was busy this summer. According to Beacon's Superintendent Matthew Landahl, the Beacon City School District was awarded a $400,000 grant from the New York State Education Department to "expand the instrumental music program and to offer an additional world language program at the secondary level" said Dr. Landahl. Parent involvment influenced the results of this grant. “Both aspects of this grant were deeply influenced by community input through either surveys or community conversations that took place last year,” confirmed Dr. Landahl. professional development to both expand the instrumental music program and to begin an additional world language program. Third grade students receive a special musical experience called The Calico Ball, courtesy of the Beacon Arts and Education Fund (BAEF) which was innitiated by Pete Seeger years ago. This dance residency is for every 3rd grader in the Beacon City Public School District. After weeks of practice, a performance happens in the Beacon High School at the end of the school year. Dr. Landahl gave a special thanks to Assistant Superintendent Cecilia Dansereau-Rumley for "heading up the effort," according to his article on the Beacon City School District's website. The grant was part of a larger one totaling $28.5 million, awarded to 38 school districts across New York State as part of the Student Support and Academic Enrichment federal grant program. Read more about that here. The finals at this year's High School Battle of the Books on Saturday, August 18, 2018, culminated in a tight battle between kids from Beacon and teens representing neighboring libraries: Cold Spring and Wappingers. "The three-round final ended with Cold Spring and Beacon in a tie. Everyone was on the edge of their seats when the two teams met for the tie-breaking round," according to the press release from the Howland Public Library. Beacon answered the tie-breaking question correctly to become the 2018 Mid-Hudson Library System's third annual High School Battle of the Books champion. Battle of the Books is a national summer reading program for middle- and high-school students in the five-county region of the Mid-Hudson Library System. The program began in 2005 as a way to encourage middle school students to read during the summer. In 2016, the program was extended to reach high school students as well. Congratulations to Butterfield Library's team, The Evil Latin Teachers, who were the second-place winners, and to Grinnell Green Grapes, who took home third place. Beacon Team Is Two-Time Champions, Five-Time Winners! This is the Beacon team's second championship at the high school level, and their fifth win overall since the competition began in 2005. This year, 13 public libraries in the Mid-Hudson Library System's five counties (Putnam, Dutchess, Columbia, Ulster, and Greene) competed in this nationally recognized literature contest in which teens answer trivia questions based on books they read over the summer. Individual library teams worked through the summer with their coaches to prepare for this final regional battle. Mini-battles were played throughout the summer to practice for the big event. Over 60 students in grades 9-12 participated, while coaches, family, and friends cheered them on. "The teams all proved to be winners when it came to knowledge, team spirit, and good sportsmanship," according the Howland Library's press release. To find out when the Howland Public Library is recruiting for next year’s time for both Middle and High School age kids, subscribe to their newsletter and to A Little Beacon Blog’s newsletter. We usually put information like that in our Kids Classes Guide, as a helpful reminder of signup dates. A big thank you to the host venue, SUNY Ulster and Matt Pavloff, HS BOB chairperson. Congratulations to all of the volunteers and families who came out to support the teams, and the coaches and librarians who worked so hard throughout the year to make this special event possible. The Howland Public Library team would like to give a special shout out to Harry Thorne for his help coaching the team and the Friends of the Howland Public Library who generously sponsor the Beacon team every year. Last but not least, many thanks to Pizza and Stuff for keeping the team's hungry minds fed all summer. Kids are about to get an easier commute to South Avenue School as the crumbling slate sidewalks are set to get reconstructed by the City of Beacon. Not even a rugged three-wheel jogging stroller can make it down these sidewalks without threatening to tip over. "The intention is to go from Main Street to the school," said Beacon's City Administrator, Anthony J. Ruggiero. A timeline has not been set in stone (pun intended), but a contractor has been hired. Usually homeowners pay privately to have their sidewalks done. But not in this case. "This is a traveled area to the school. It was viewed as safety for the kids," said Anthony when we reached out to inquire about specifics on the financing. "We received some funding from Dutchess County. There is no cost to homeowners, however, they are responsible for maintenance and upkeep." Get Involved in the 2018 Beacon High School Career Fair! With the huge success of last year's Beacon High School Career Fair, the school is currently seeking presenters for the 2018 Career Fair. It is a great opportunity to network with other businesses and share your knowledge with the students. The event will be held on Friday, May 25, from 10 am to 3 pm at the Beacon High School gymnasium. Presenters are asked to set up at the high school at 9 am. The fair will be set up in the gymnasium, where each presenter will have their own table to display information and items that represents the person’s career/profession that can serve as talking pieces with visitors. Students are invited to walk around and speak to the different presenters of their choice. If you are interested in participating, feel free to contact Michele Polhamus, School Counselor, by email at polhamus.m@beaconk12.org or by phone at (845) 838-6900.